Known as the “Ship of the Desert” for its rolling gait, the camel is almost the only possible transport in the desert, as it can go for months with very little food or water if necessary, and also provide milk, meat and wool as well as be both a pack and riding animal. In essence, Camels have lived and thrived in some of the harshest conditions and places on earth where most other large animals have been unable to survive. One of the most amazing camel facts is that they have found a good use of their resilience and by living in arid conditions including deserts and mountains, they are able to avoid predators, and in the animal kingdom where survival of the fittest is the order of the day, they are able to stay and utilize the available resources without much competition. To learn more about Camels, here are 20 interesting camel facts with pictures. 1 – There are just two ‘true’ camels, the two-humped Bactrian from Central Asia, and the single-humped Dromedary, native to the Middle East and Africa; the other four so-called camels, the Vicuna, Guanaco, Alpaca and Llama, all of South America, although members of the family Camelidae, are merely close relatives. 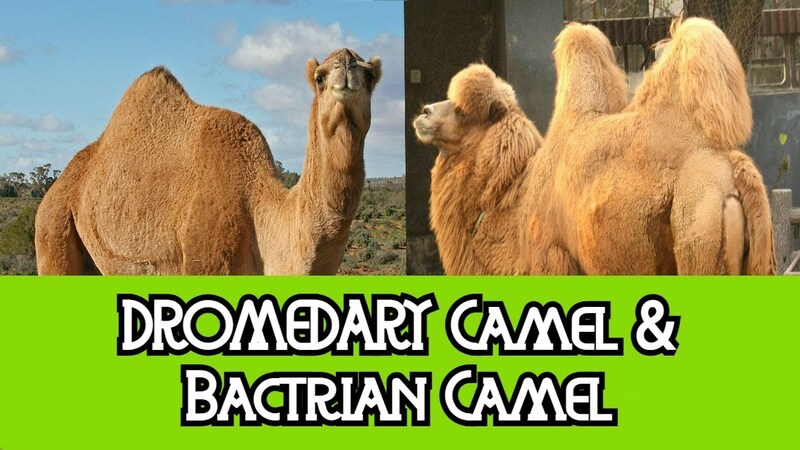 2 – A fun way to remember which camel is which is to imagine the capital letter of each one’s name lying down on the camel’s back – a single-humped ‘D’ for Dromedary and a double-humped ‘B’ for Bactrian! 3 – One of the many possible derivations of the word ‘camel’ is from the Arabic ğmal, meaning ‘beauty’; others, meaning variations on ‘work’, include Latin (camelus), Greek (kamēlos), Hebrew/Phoenician (gāmāl) and a different Arabic word, jamala, meaning to carry or bear – appropriate for an animal that can carry 500-1,000 lb (230-450 kg) in freight for 30 miles (48 km) or so a day if necessary – the bedouins usually average nearer 12 miles (20 km) a day so as not to overwork them. 4 – The Bactrian camel is nearly extinct in the wild and the Dromedary already is – the dromedary population of some 12.8 million being entirely in captivity, or more correctly, domesticated. 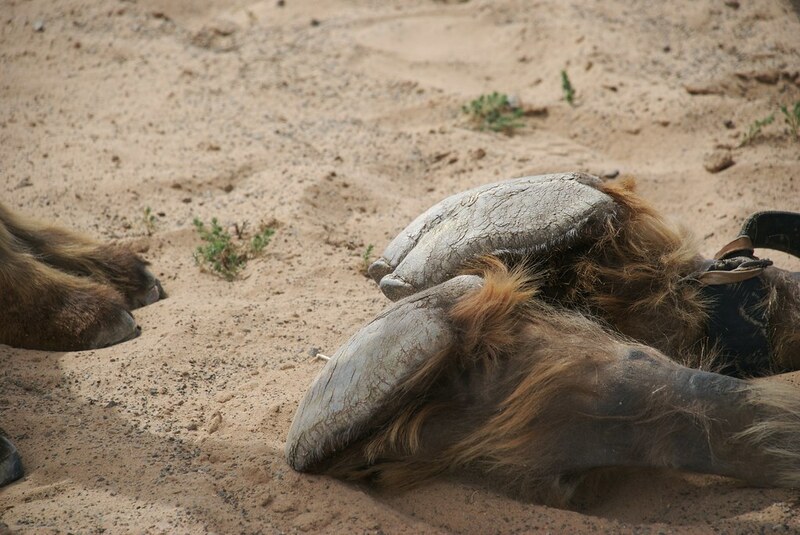 A few hundred of the 1.4 million Bactrian camels are still wild in the Gobi desert (the rest are domesticated), and a feral population of some 700,000 animals (and growing) in Australia is rapidly reaching ‘pest’ proportions. 5 – North America did have its own camel, but it vanished when the Native Americans spread to America from Asia, around 10,000 years ago. 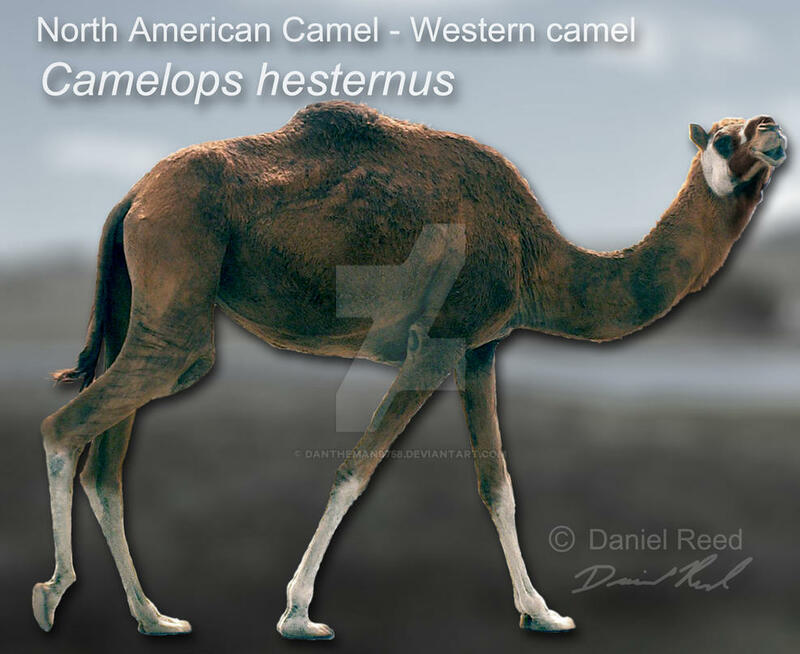 In fact, the camels spread the other way at the same time, so the now-extinct North American wild camel is actually the ancestor of all modern camels! 6 – The camels in Australia are Bactrians that were brought in during the latter half of the nineteenth century to transport first explorers, then later surveyors and road/rail builders, along with their baggage, in their journeys into the desert interior. 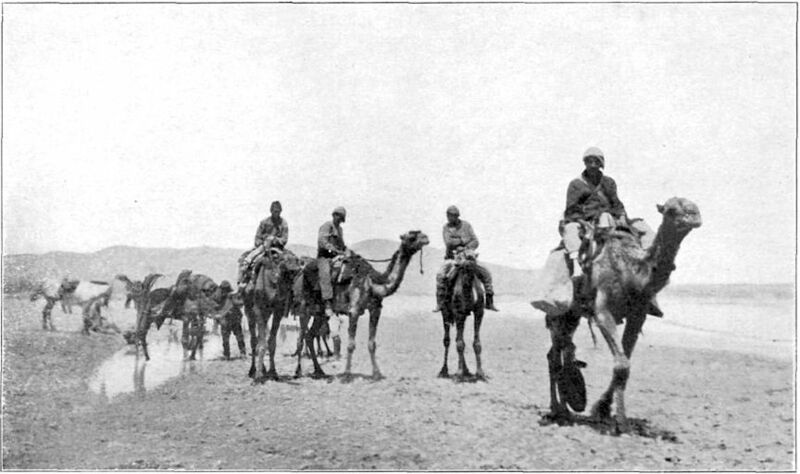 By the time they were transporting settlers and traders and all their assorted goods in the 1920s there were some 20,000 thousand camels there, and by 1930 they were no longer needed. Now ignored, they turned feral, living quite happily in the dry and arid areas that cover most of Australia and breeding without restraint, as it were – hence the feral population that is now taking all the food from the native animals and becoming a big problem! 7 – The reason for the rolling gait that got the camel its nickname of ‘Ship of the Desert’ is that, unlike most mammals, the camel moves the front and back legs on the same side at the same time, then repeats with the other side, so that it sways in a rhythmic side-to-side fashion like a ship at sea (and is just as likely to make people seasick!). 8 – Camels stand up to 6 ft 1 in (1.85 m) at the shoulder (7 ft 1 in/2.15 m including the hump), live for 40-50 years, can run as fast as 40 mph (65 km per hour) in short spurts or at 25 mph (40 km/h) for longer periods, and weigh 300-1,000 kg (660-2,200 lb), sometimes more. Dromedaries are larger than Bactrians. 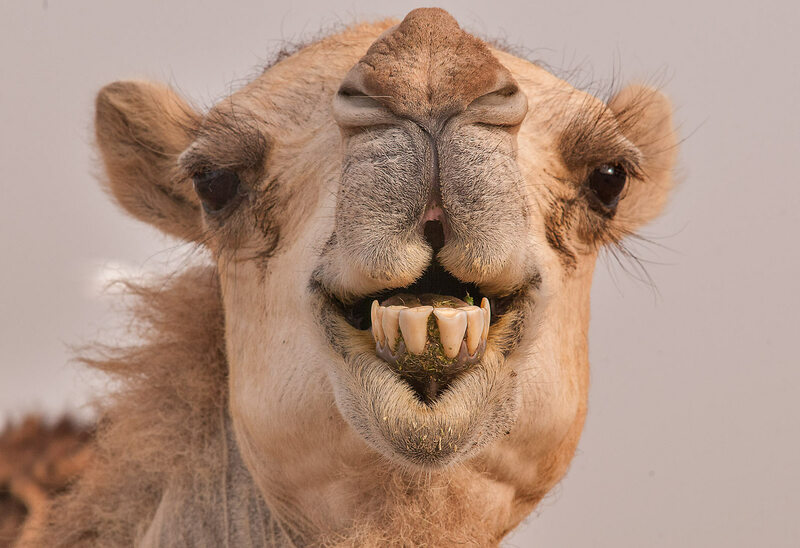 9 – Camels can go weeks, even months, without getting any water – but on the other hand, they can drink up to 40 gallons in one go, without getting water poisoning as we would! 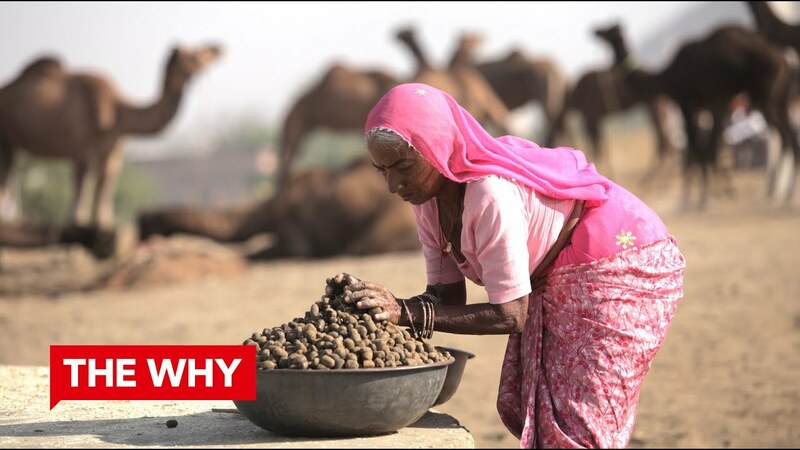 Despite popular belief, however, they do not store water in their humps – instead, the hump stores most of the fatty tissue that would normally be spread around the body, minimising the insulating, heat-retaining effect it would have elsewhere. The water initially goes into the bloodstream, where the hyperhydration-resistant blood cells swell to around 2.5 times their normal size to accommodate it and is distributed to the various body tissues which absorb and store it. 10 – The camel has two major adaptations that enable it to survive so well in the desert; oval-shaped red blood cells that continue to flow rather than clumping when dehydrated as ours would, and an ability to withstand massive amounts of dehydration that would kill most animals (then drink massive amounts of water and rehydrate themselves easily and quickly). Most mammals can stand a reduction of only around 12-14% hydration through sweating before they die – the camel can withstand more than 25%, and over longer periods, too. 11 – They have minor adaptations on their feet. Their feet are wide-spread with a fat pad on the back that helps them walk almost silently and stand on the sand, natural calloused pads on the chest and legs that keep them comfortable when kneeling on hot sand. Their body has a thick light-coloured coat that insulates them from the sand’s radiant heat and reflects the glare, the hump itself, as mentioned above, and an ability to vary their own temperature between 34º Celsius (93ºF) and 40ºC (104ºF), allowing them to survive ambient temperatures of up to 49ºC (120ºF) without sweating too much – or dying, which would be the result of such massive changes in any other animal. 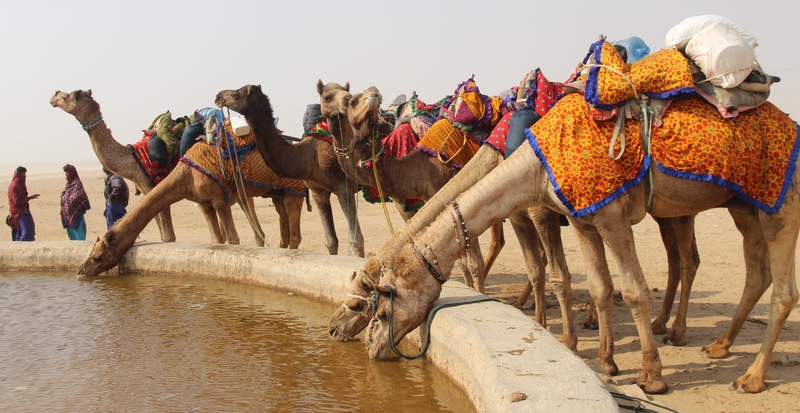 12 – Hardly surprisingly, the amount of water the camel allows to be wasted in excretions is minimal; its intestines and kidneys reabsorb so much water the camel’s urine is a thick syrup and its faeces are so dry the Bedouins collect it for fire fuel. 13 – The camel’s head is a masterpiece of design for a desert-living animal; it has thick bushy eyebrows on projecting bony ridges to shield its eyes from the sun, two sets of extra-long eyelashes and a third eyelid to do the same regarding sand, lots of hair in its small ears to keep the sand out of them, nostrils that trap and retain water vapour in exhaled breath and can close completely against sand, and mouths that have a leathery thick lining that lets them chew the thorniest plants without damage and split lips to make browsing easier. 14 – You don’t want to upset a camel. Really. If angry or frightened, they ‘spit’ out a mixture of saliva and stomach acid/contents that is extremely smelly – and there can be a lot of it! Now you have learnt one of these new camel facts, ensure not to be in the receiving end of a camel’s spit. They also have 34 very sharp teeth, very large feet on very long legs and a very long neck that gives them an extraordinary amount of reach, all of which they will use without hesitation! 15 – Camels are true omnivores, same as us, and although they are usually happy to browse on desert plants they will eat anything from fish and meat to bones and leather when necessary – and have been known to snack on the tents of their owners! They are ruminants, like cattle, meaning they swallow their food only partially chewed then regurgitate chunks of ‘cud’ to chew later. 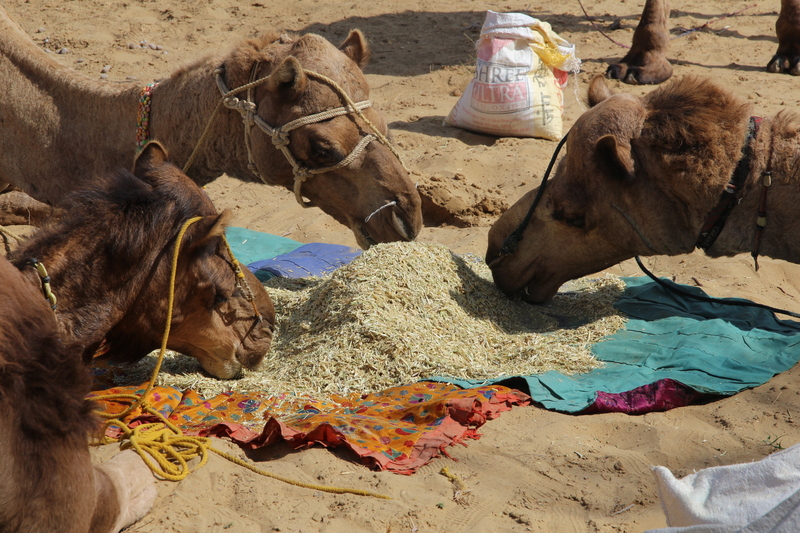 If food is scarce camels will use the stored fat in their humps, which will shrink then droop to one side as they empty, but rapidly fill again when the situation improves. 16 – Bulls are sexually mature at around three or four years old, and cows start a little younger but rarely get pregnant before they are about five years old. Cows have around eight calves in their breeding life, one every two to three years. 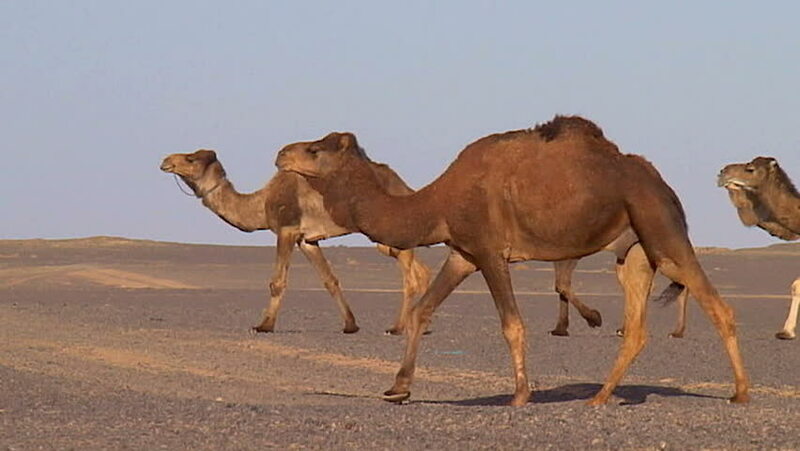 Camels come into season, with amounts of daylight affecting their behaviour, and are induced ovulators (eggs are produced when mating occurs). Bulls go into ‘rut’ for two to four months at a time, but rutting is severely debilitating to them so the length of the rut depends on their health and dominance. 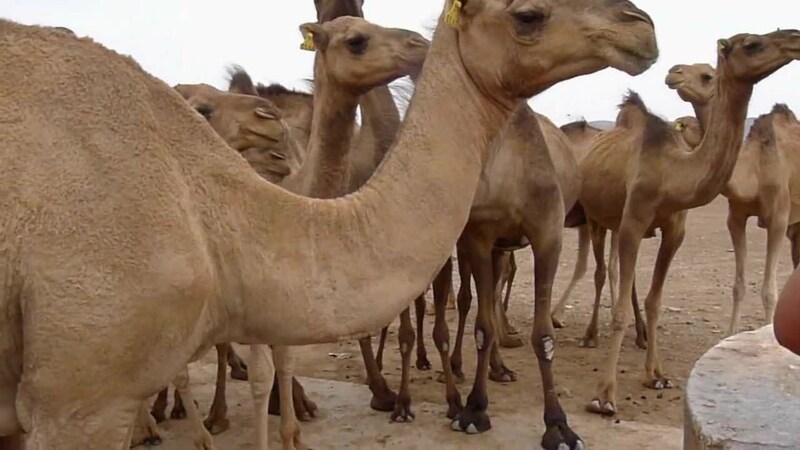 17 – Camels can regulate their pregnancies according to the situation regarding food, stress, season etc and they, therefore, last between 374 and 419 days – that is, 12.5 to 14 months. One or sometimes two calves are born at a time, around 66 to 88 lbs in weight (30 to 40 kg), and they are born with their eyes open, a thick woolly coat already in place and the ability to run after just a few hours. The hump starts growing when they are weaned at about a year, and the calf will stay with its mother for several years if left alone to do so. 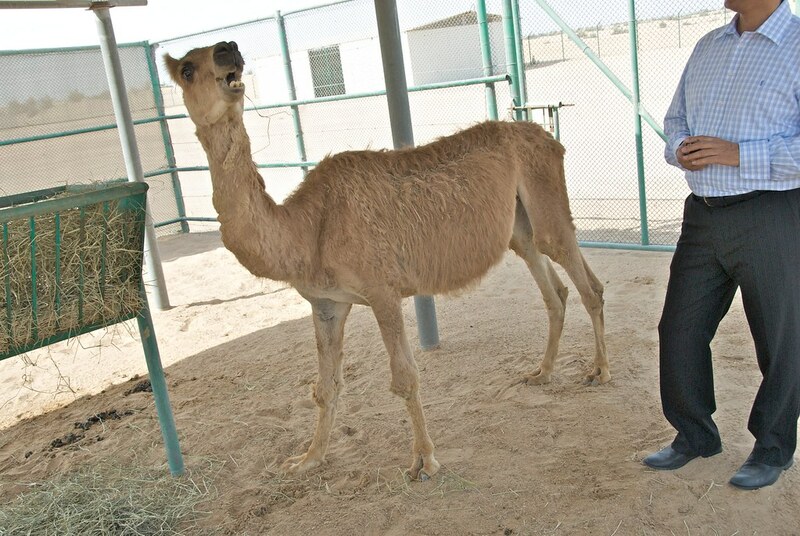 In captivity training usually starts at weaning and the young camel learns to carry heavier loads as it grows, carrying a full load at around five years old. I guess you hitherto knew of these camel facts. 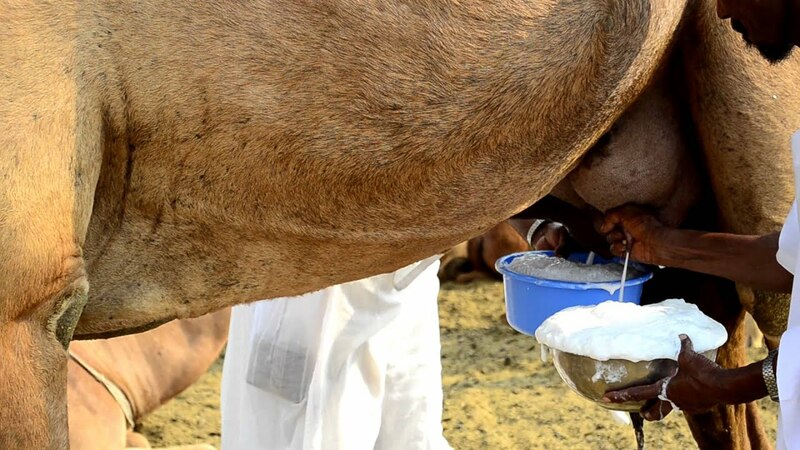 18 – Unlike westerners, the Bedouins and others who use camels in the normal course of their lives have no trouble with the idea of drinking camel milk (although apparently, it’s a bit of an acquired taste!) and eating camel meat. However, maybe we should start thinking more about doing so; camel milk is considered a complete food, being low in fat and lactose and high in many vitamins, minerals, etc compared to cow’s milk, and since most of a camel’s fat is stored in the hump, its meat elsewhere is very low in cholesterol and almost fat-free, making it a very healthy option! It’s reported to be like a coarse beef, but it can be a bit tough, a problem considerably improved by long slow cooking. 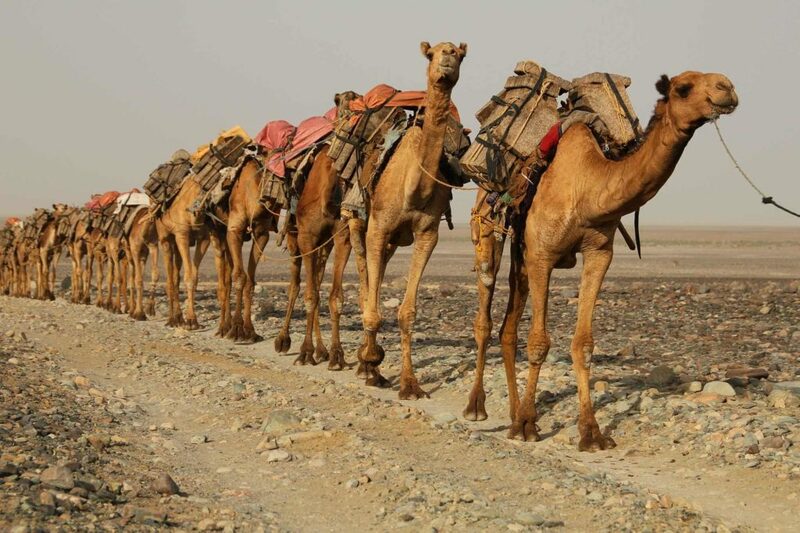 19 – One of the camel facts history has for us is that camels have had military uses as baggage/draft animals for a long time, and as cavalry, since saddles were put on Bactrians around 1200 BC, but the first recorded instance of this use in war was at the Battle of Qarqar in 853 BC. The Romans and others used them too, mostly because they scared off the opponents’ horses (camels’ scent frightens horses).